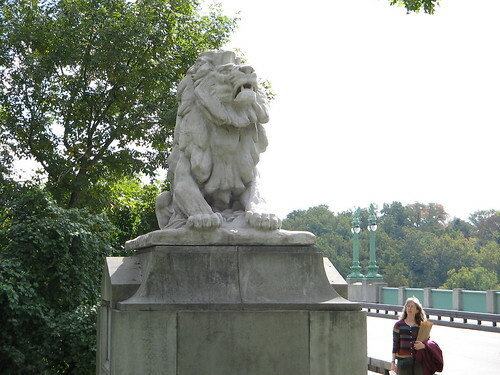 One of the majestic lions guarding the William Howard Taft Bridge on Connecticut Ave NW, Woodley Park side. The lion sculptures were made by Roland Hinton Perry. Wikipedia entry for Taft Bridge.